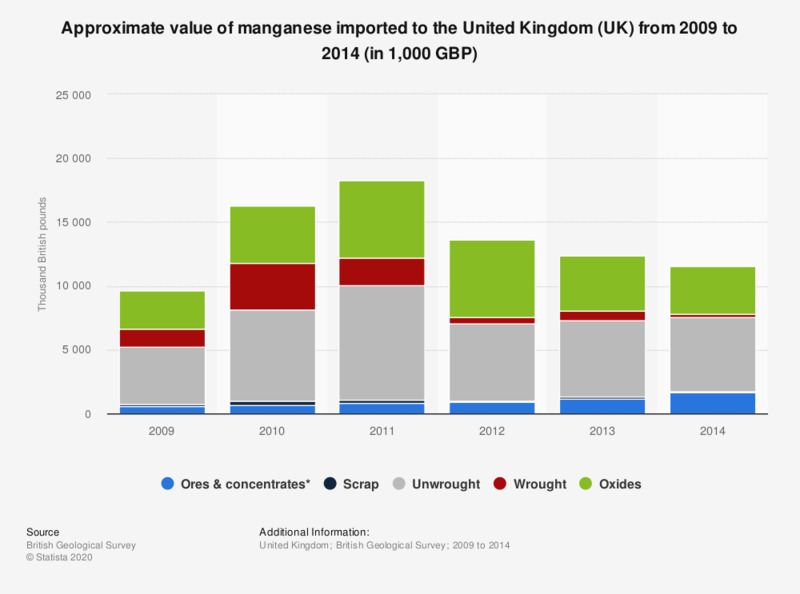 This statistic illustrates the annual import value of manganese in the United Kingdom (UK) between 2009 and 2014, by type. In 2012, 878 thousand British pounds worth of magnesium ores and concentrates were imported to the United Kingdom. * Including manganiferous iron ore.